Finally! A long-awaited feature is now available in the EmbedFeed platform. Starting from today, you will be able to monitor mentions on social media and create feeds with the photos, links or videos that users tagged or mentioned with your Facebook page or Instagram account. This is a huge benefit to collect and enhance the UGC (user-generated content) strategy that your brand will definitely need to strengthen in 2019. Displaying the Instagram or Facebook mentioned posts on your website enhances trust, gives transparency and boosts your reputation amongst the potential new customers which eventually leads to increased conversion rates. 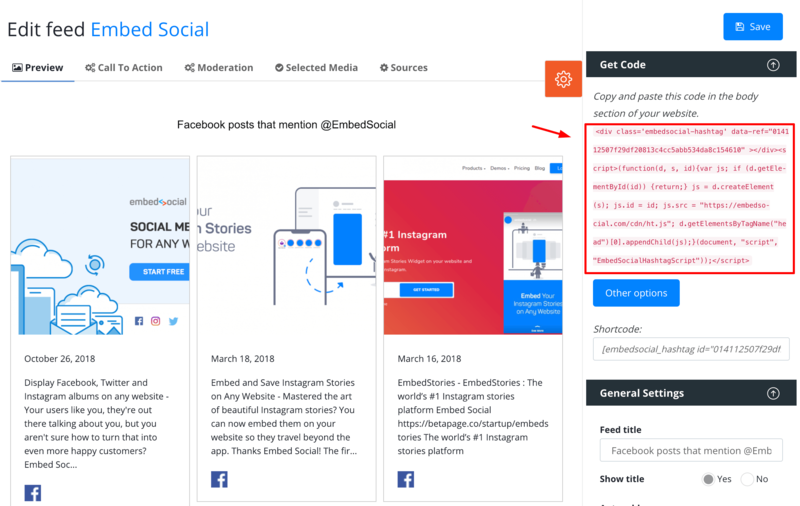 Here is a detailed video tutorial how you can use EmbedFeed to embed the mentioned posts from Facebook or Instagram users on your website. Or continue reading to check the screenshots and detailed steps. First, you need to log in to your account or if you still do not have an account, feel free to sign up for a free trial. 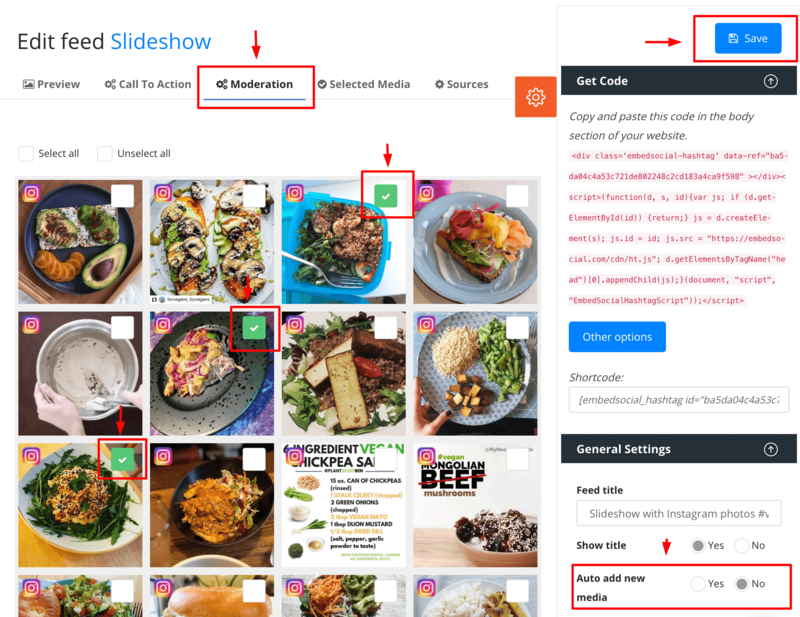 The system will import the media and once finished, just click ‘Create Feed’ Once you open the Feed screen you will all the available options to moderate, customize, and fit the feed to your website design. The steps to generate and embed Instagram mentions feed is very similar like with the Facebook mentions, described above. Please note, that before you begin using EmbedFeed, please make sure your Instagram account is converted to an Instagram Business account. 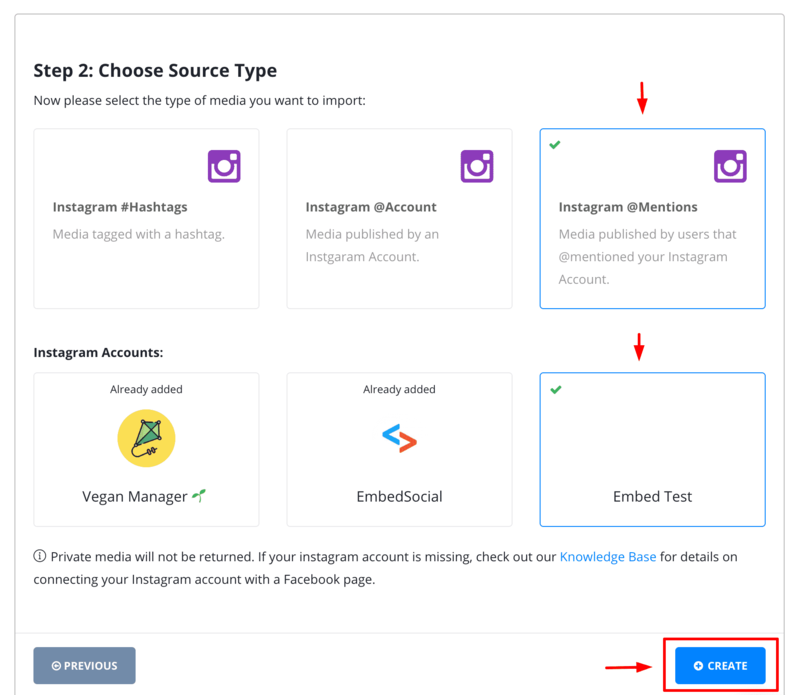 Same as in the case with Facebook mentions, to start generating the Instagram mentions, first you will need to log in or create an account for EmbedFeed (if you still do not have one). Please note that all your feeds can be accessed from the ‘Social Feeds’ menu, and you can use this section to edit the current feeds or to add new feeds. The moderation option is a needed feature for brands to make sure that some of the posts that users share on their social media feed, need to be checked first before showing them on a website. We do not encourage censorship in any way, but sometimes this moderation option is to filter content that is possibly harming the overall community standards on social media and also your brand’s policies. In the digital age, the social monitoring of your brand’s mentions is a definite must. People talk about you on social media, whether you like it or not, so your only strategy will be to listen and engage. The user-generated content will be one of the main focuses of the marketers in 2019, due to its power to spread the word of mouth concept at scale. The best way to monitor, generate, organize and also re-use the UGC content created around your brand is to use third-party tools that are eligible to build on top of the major social media networks. 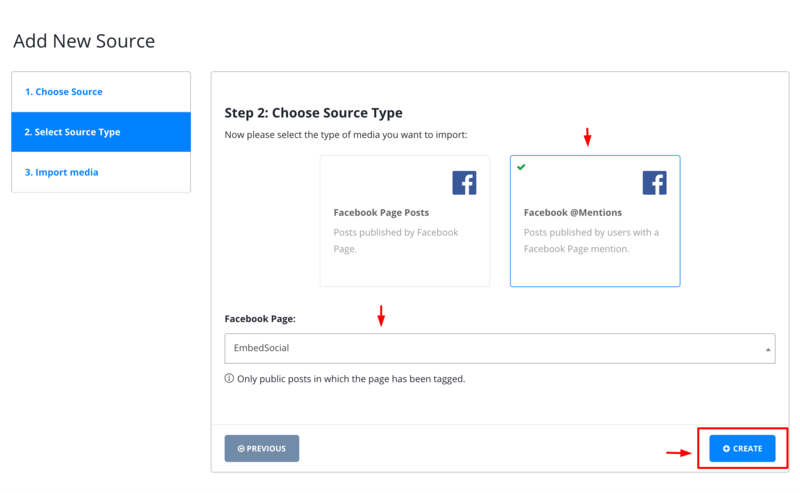 Related to this, EmbedFeed is your full UGC platform with the option to generate content posted as mentions or hashtags on Facebook, Instagram, Twitter with additional options to create feeds from your own Facebook or Instagram accounts. To get started, just start your free trial right now, and see what people post about your brand on social media.